This course will help you to understand the role of first aid trained staff and the systems and procedures associated with first aid assistance. The course is for qualified first aiders (as a refresher course) and for non-qualified in the workplace. 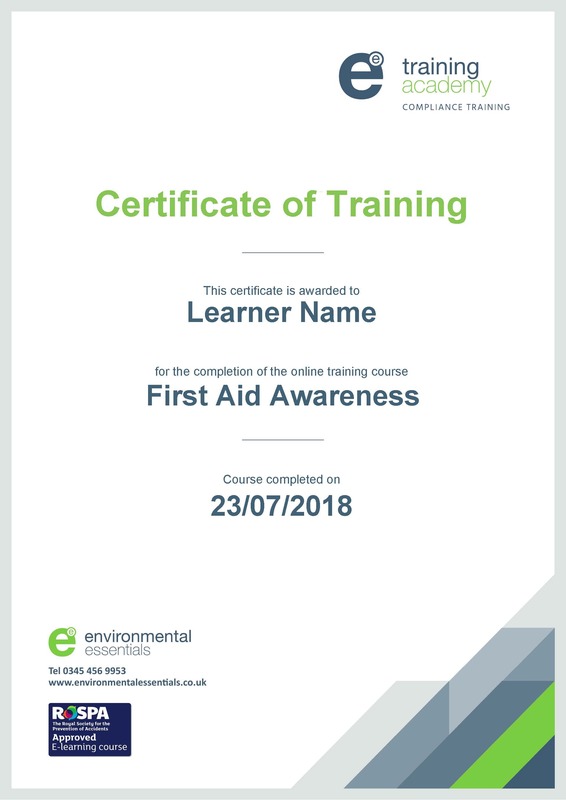 The course provides awareness first aid information which will help you deal witha first aid situation whilst awaiting for the arrival or a suitably qualified person such as a doctor, nurse or paramedic. By completing this course you will find out what first aid is and what are the requirements surrounding first aid.